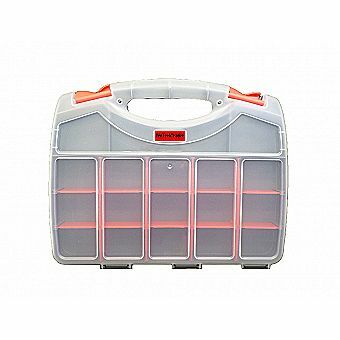 Keep small items and accessories neatly sorted with this professional organizer. Equipped with 36 individual compartments, it offers ample space to keep all items divided. The organizer features a opaque lid that allows you to easily view contents inside. Each compartment is has removable dividers to make space for larger items. This organizer also includes a wide easy to grip handle that is designed to be easily carried.